On 5 July 2016, Airbus A321-211(WL) c/n 7193 flew first with Airbus test-registration D-AVZJ. 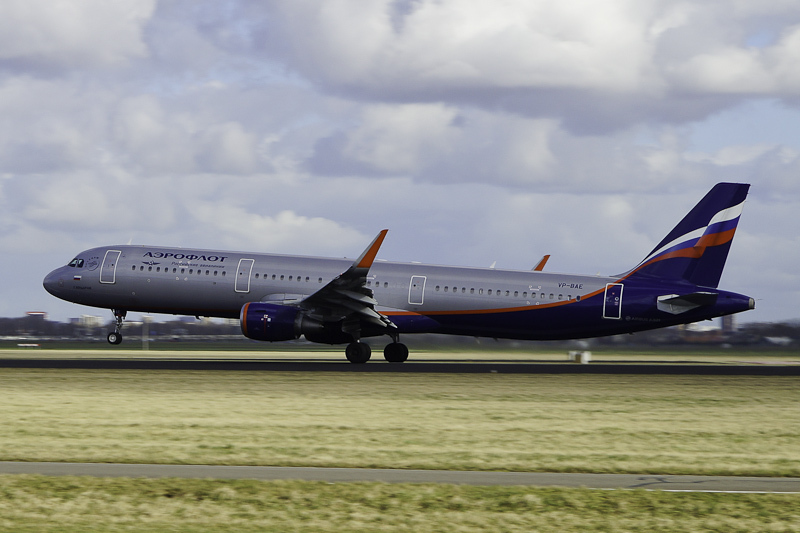 The Airbus A321-211(WL) was designated for leasing company CMB Financial Leasing as owner and Aeroflot-Russian Airlines as holder. On 3 August 2016, the Airbus A321-211(WL) was registered VP-BAE in Bermuda as the leasing company based their holdings out of Bermuda. Therefore and for some tax implications for registering non-Russian aircraft with Russian registrations, Aeroflot gets around it by registering all their Boeing and Airbus aircraft in Bermuda. On 4 August 2016, the Aeroflot-Russian Airlines' Airbus A321-211(WL) VP-BAE was delivered at Moscow-Sheremetyevo International Airport. On 24 February 2017, Airbus A321-211(WL) VP-BAE was seen during takeoff from the Polderbaan at Amsterdam Airport Schiphol.